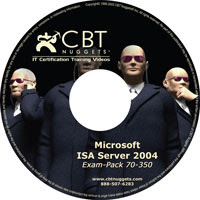 Ace your preparation for MCP Exam 70-350and expand your knowledge of Microsoft Internet Security and Acceleration Server (ISA) 2004, Microsofts advanced application layer firewall, virtual private network (VPN), and Web cache solution. Designed to help maximize your performance on the exam, this TRAINING KIT packs the resources that exam candidates want mostincluding in-depth, self-paced training; rigorous, objective-by-objective review; exam tips from expert, exam-certified authors; and a robust testing suite. It also provides real-world scenarios, case study examples, and troubleshooting labs for the skills and expertise you can apply to the job. – ISA Server is Installed… Now What?